The increasing dominance of gamba grass across the Top End will fuel more damaging fires that will increasingly endanger human life, according to a new campaign designed to raise awareness of the need for action on the dangerous weed. 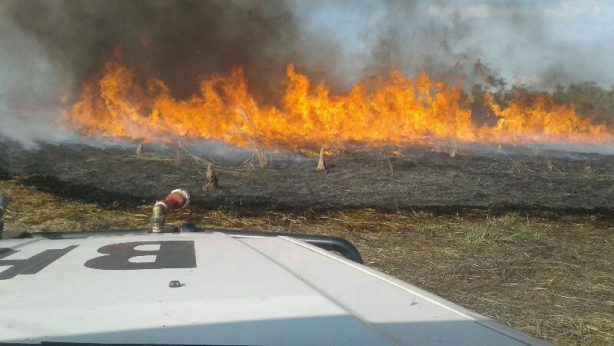 Early media reports cite that gamba grass may have played a part in the rapid spread of a recent fire in the Darwin River area (https://ab.co/2KELs5d). While it’s too early to determine how large a role gamba may have played, the Darwin River is well known for its gamba grass. “Gamba grass is rapidly spreading across the Top End and without a serious increase of investment and effort, we’re likely to see fires like that one becoming a more regular occurrence,” Mr Hart said. “We can expect to see hotter, faster-moving bushfires that will pose an increased threat to rural homes, wildlife and the lives of residents and fire crews – similar to the disastrous bushfires experienced in southern states. “Gamba Grass Roots is calling for the Territory Government to scale up existing efforts to inform and engage the community around the threat gamba poses. “We’d also like to see them extend the Gamba Action Program and commit more resources to stop the spread of gamba to new districts and better control it in areas where it’s already prevalent.